Sometimes, lemonade doesn’t mean crazy officials charging little kids for entrepreneurship (although that is a crazy battle against freedom). 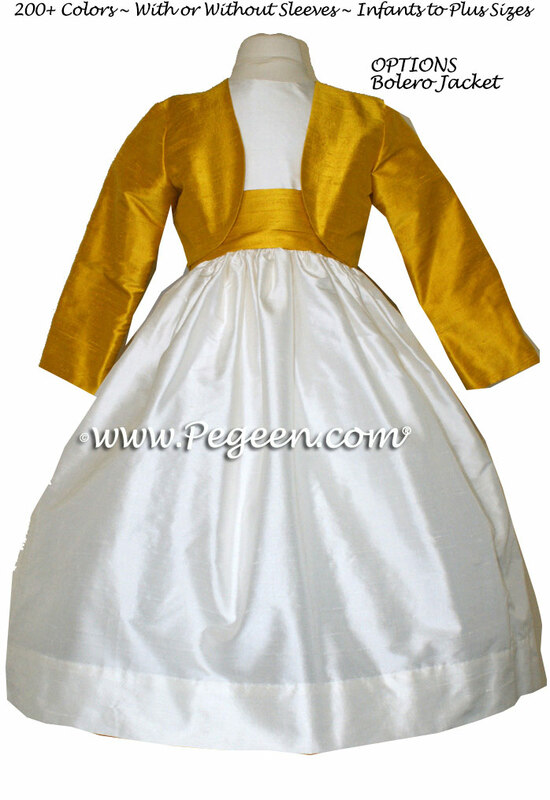 In our case, lemonade is a beautiful silk shown in our pink and yellow flower girl dress style 313. 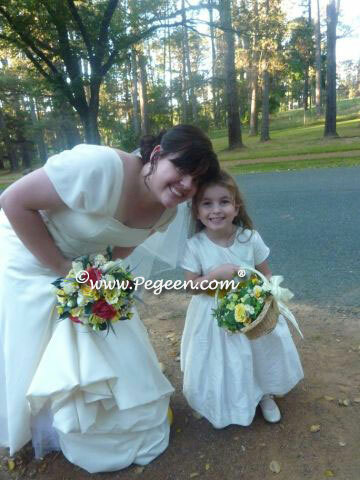 This customer chose to base her flower girl dresses on style 313 with a cerise bodice, lemonade sash and butter creme silk underskirt and organza for her flower girls. 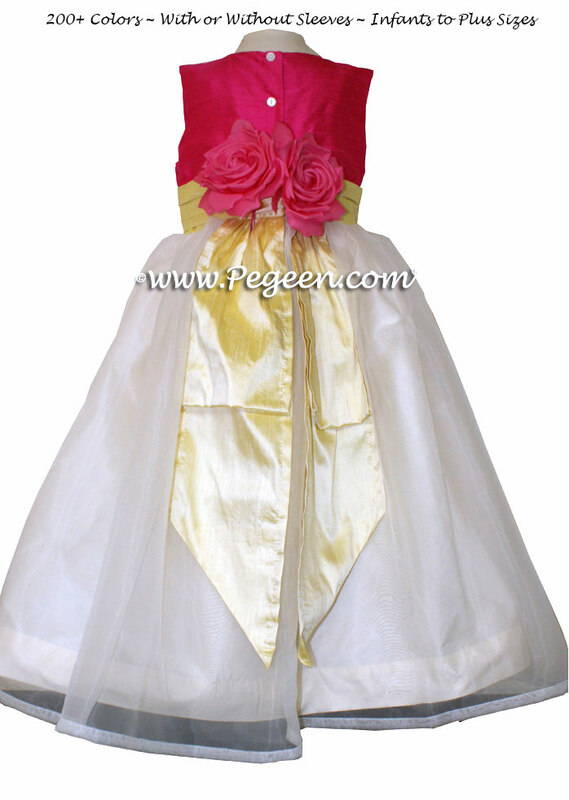 These and other colorful dresses seen can be seen in our flower girl dress of the week. See our latest winners!